Robotics Law One: “Do no harm to people or property through action or inaction.” Intelligent machines have a large problem: What is harm? Dr. Maynard Little thinks he may have solved it. 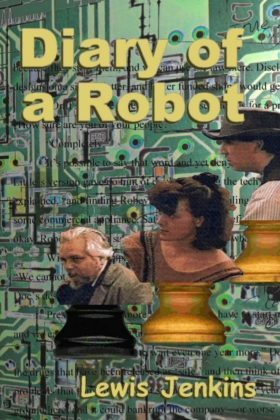 The first chapters introduce Doc’s own problems, his predicament, and his team at The Little Company as they build The Machine. From then on, the machine works through its problems of deciding whom to trust, while the people try to deal with the machine as it works. Things get dicey. The turning point is a televised round-table discussion where Robey (the machine’s name at that time) upsets everyone except perhaps the French. Dr. Little—under pressure from Chairman Bozworth to begin making money—takes steps to make the machine more marketable and less controversial. These efforts succeed except that Doc’s fix creates new problems. And other interests want to exploit or control—or steal—the TM tech.